INEA, in other words ‘Good internet people’ continues changes which are aimed at taking customer service to the next level. 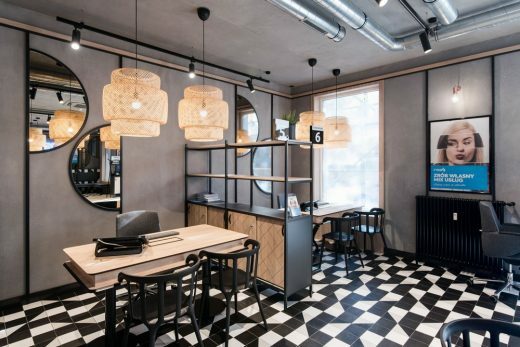 It was a natural move for the telecommunications leader in the Greater Poland region, to give the interiors of their salon a makeover. 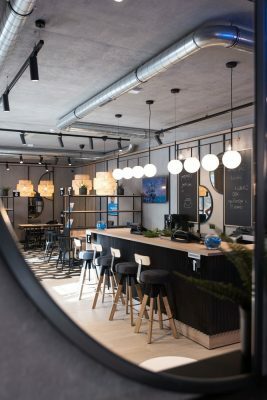 mode:lina™ architects were invited to join the project, and they have prepared forINEA a brand new version of one of Poznań salons, accompanied by a set of standards for all new ofces. In August 2017, INEA underwent a complex rebranding, whose conception and implementation was overseen byMinima Advertising People. 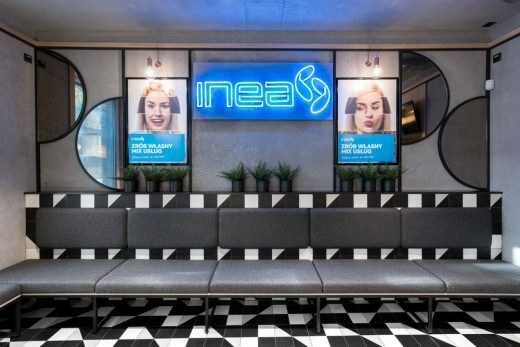 When creating the new image, they focused on INEA’s people who on a daily basis make sure that their clients have access to the best services available. The communication strategy shows engagement and care of ‘good internet people’ for every client. It also shows that INEA is made up of mainly young people who are full of passion and optimism. 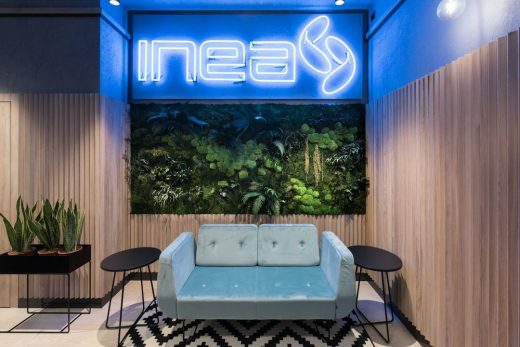 The new INEA salon in Poznań is full of surprises, right from the doorstep. 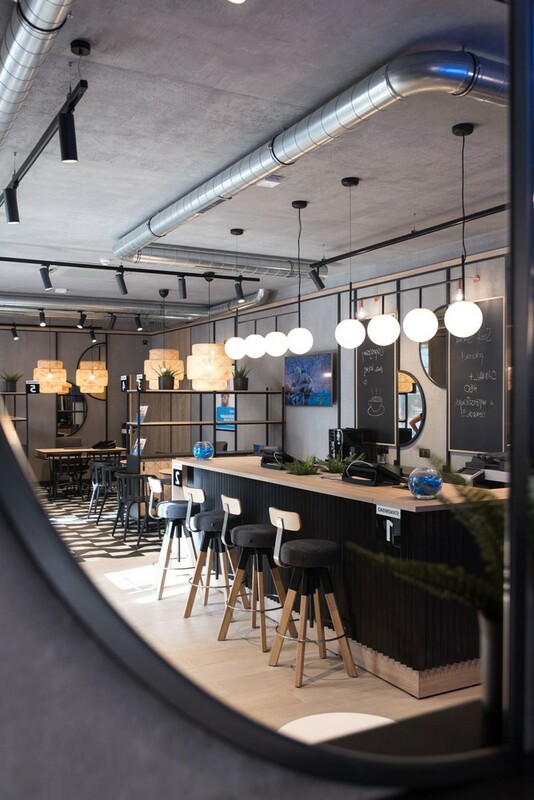 The interior is definitely nothing like regular customer service areas, and it combines a style of an urban coffee shop and a bar. It is now a less formal and more casual space for guests, not at all reminiscent of typical, ‘box-like’ customer service areas. The main goal was to create a friendly atmosphere, and a place which is associated with comfort, cosiness, and a smell of good cofee. 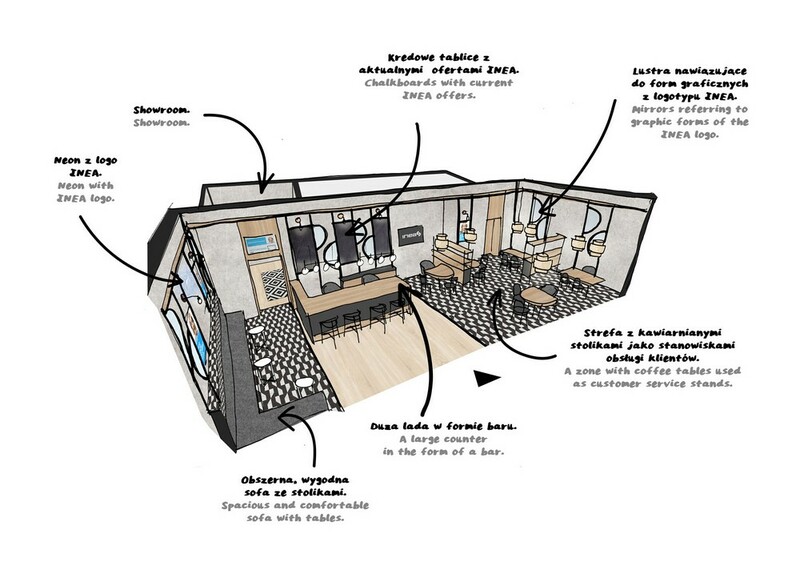 Right in the centre of the salon, there is a large counter which resembles a bar. 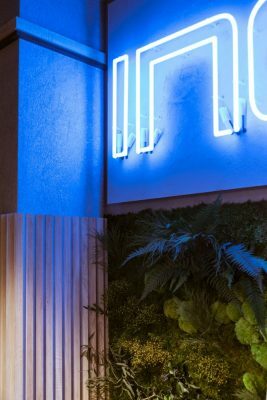 Closed-of areas disappeared, replaced by cofee shop tables, comfortable seats in the showroom, and a large, soft sofa with an INEA neon sign above it. 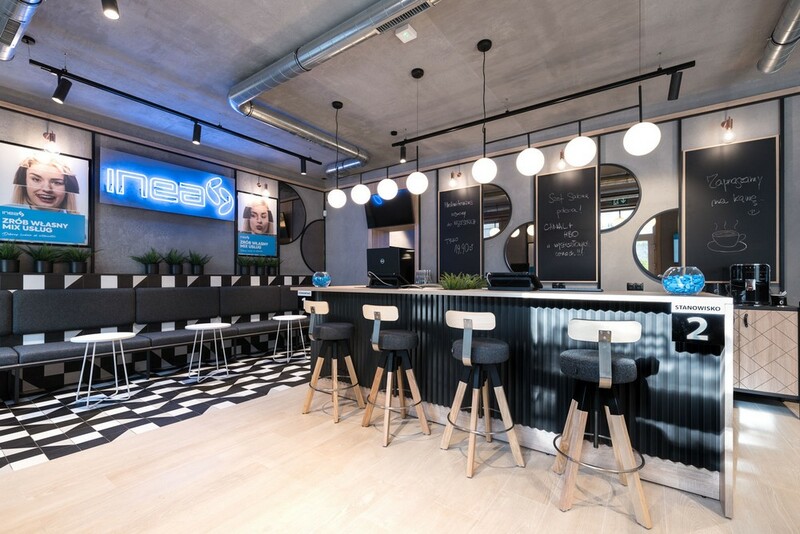 The solutions ofered bymode:lina™ gave a new direction to the design of INEA salons which take the INEA customer service to a completely new level.